If you are enjoying the 2018 Olympic Games as much as we are, rejoice! 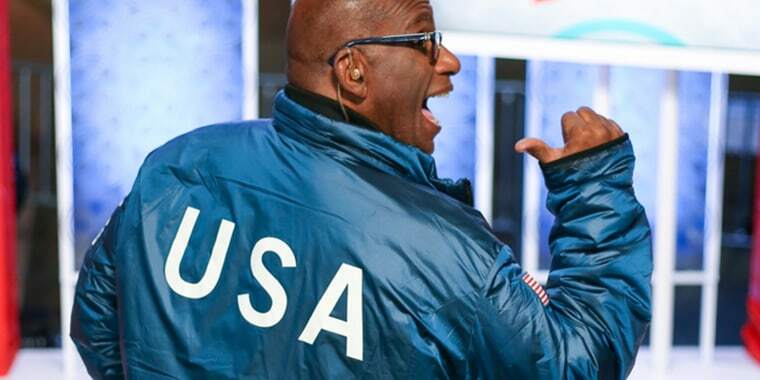 Every four years, Americans bear the cold and take center stage at the Winter Olympics. While our nation’s best athletes are an ocean away in South Korea, there are many ways for fans of the Olympics to support them back in the states. Check out our series of some of the best gear to wear during the winter classic. Curling is one of those Olympic sports that everyone should watch at least once every four years. It requires incredible bravery and tenacity, a booming voice and the very necessary broom. 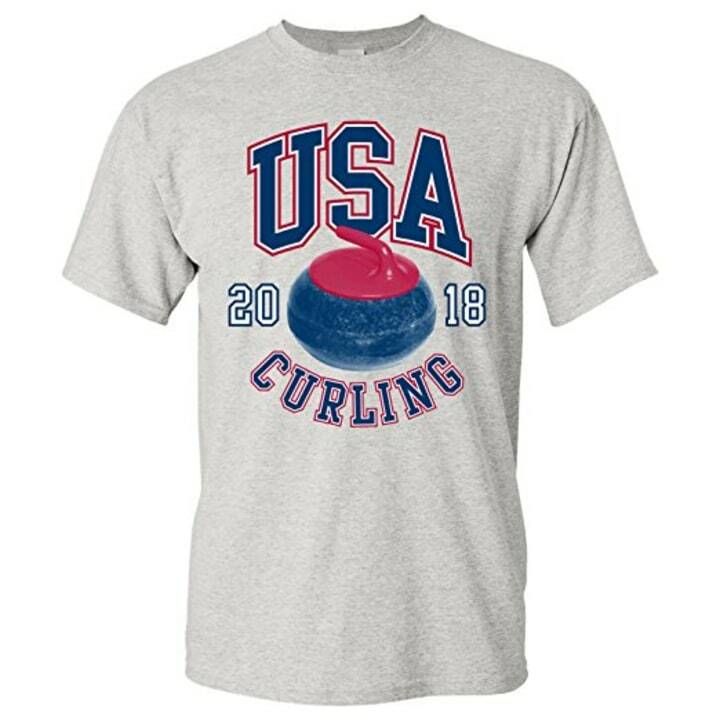 Now, fans can impersonate their favorite Olympian curlers in the comfort of their homes with this affordable and just so convenient unisex T-shirt. 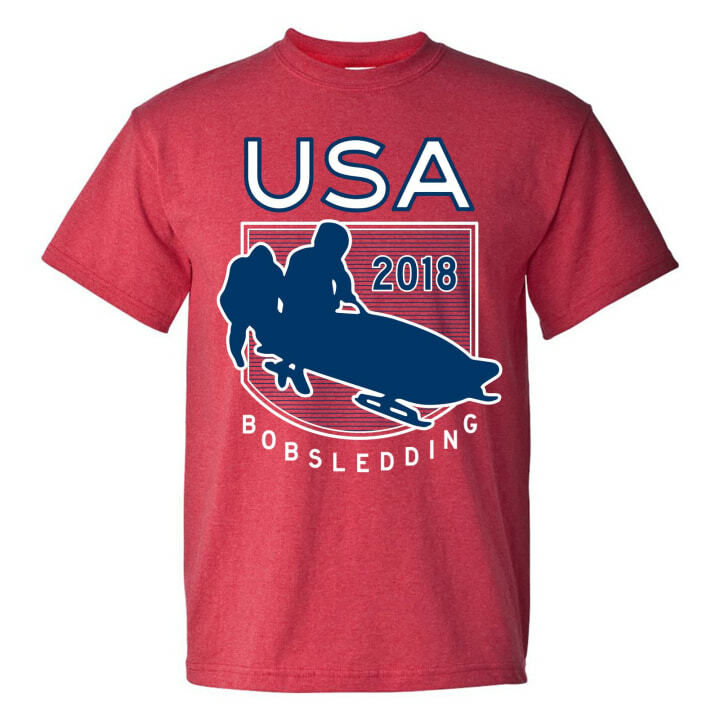 If curling is not at your speed, why not give a shout out to the bobsledding team. This exclusive tee is the casual look that you can depend on when you are unsure about what to put on in the morning. 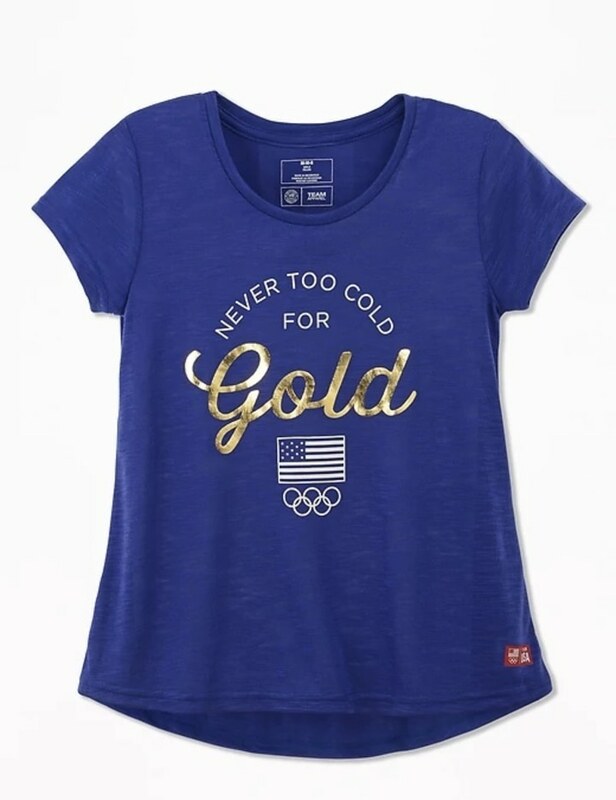 Channel your inner Olympic gold medalist with this Old Navy tee, which comes in an indigo blue hue with a gold-and-white graphic stamped proudly on the front. The cherry on top? 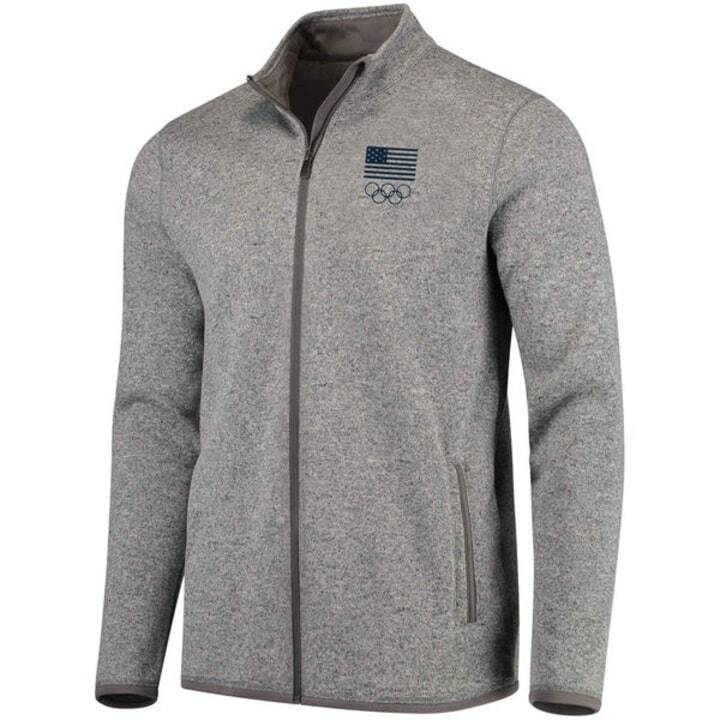 A share of your purchase will support both the U.S. Olympic and Paralympic teams. 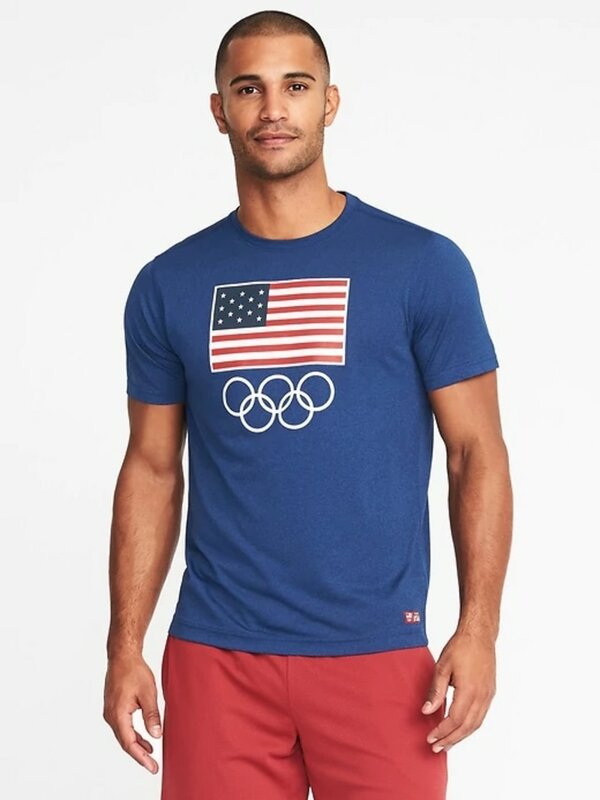 Be the coolest fan at an Olympic party with this retro T-shirt that trades in the milk white stripes for black piano keys. Simple. Easy. Stylish. 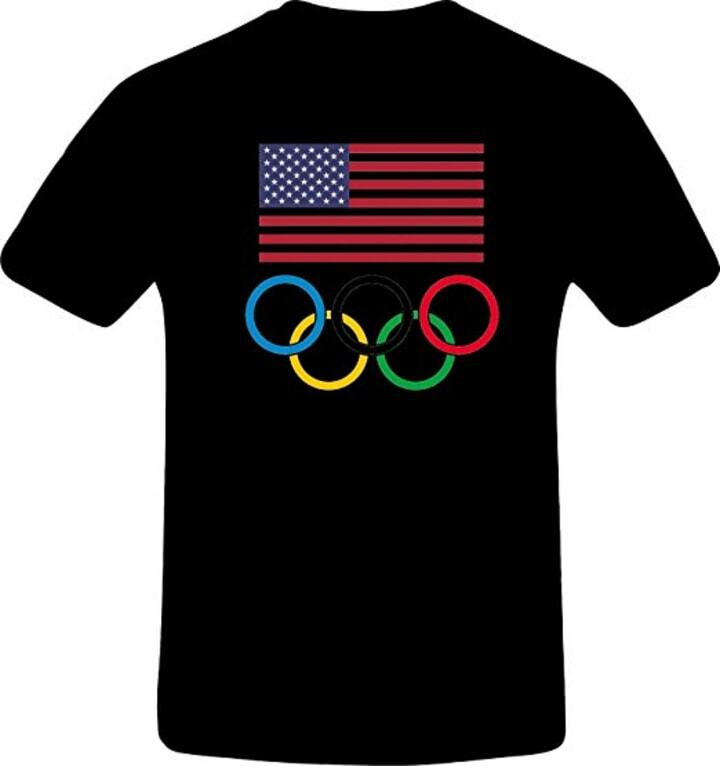 This is the T-shirt you'll want to wear, whether you are out with friends in jeans or at home in sweats watching American athletes compete for the gold in Pyeongchang. This bright white tank top walks the fine line between playful and casual. 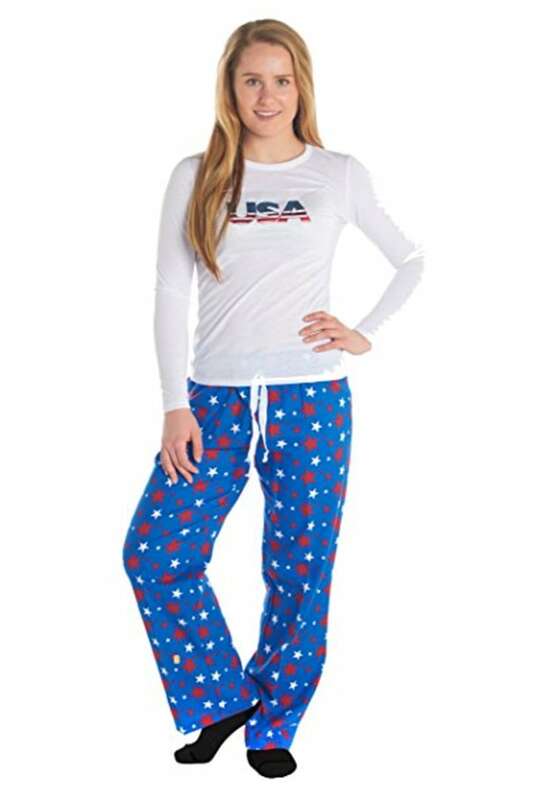 It's great for enjoying the Winter Olympics from the comfort of your warm home. Be honest. You, like everybody else, have always wanted a onesie. Well, now is your chance to zip yourself up in this cozy Hoodie-Footie that resembles a vintage red, white and blue ski suit. It features kangaroo pockets, and holes for your thumbs to keep your hands nice and toasty. OK, maybe not everyone longs to wear a onesie, but everyone needs some PJs. 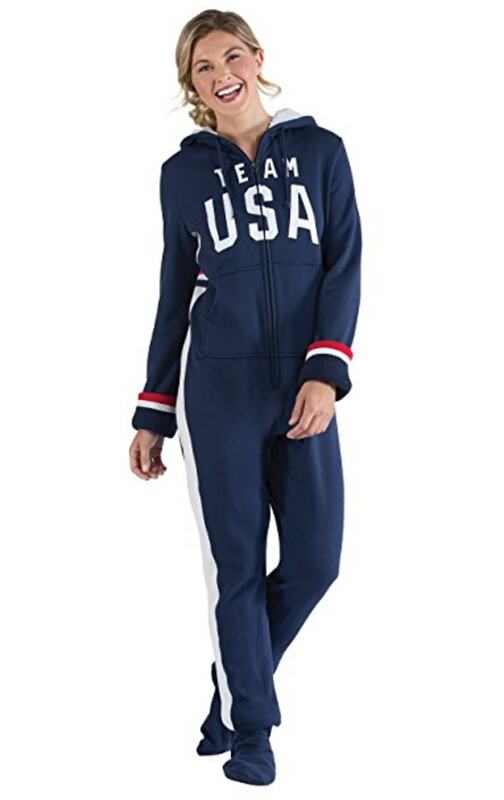 With this pajama set, you can wear stars and stripes from the comfort of your couch as you watch the latest Olympic event. Winter Olympians not only face the heat of competition against athletes from all over the world. They also face the cold. 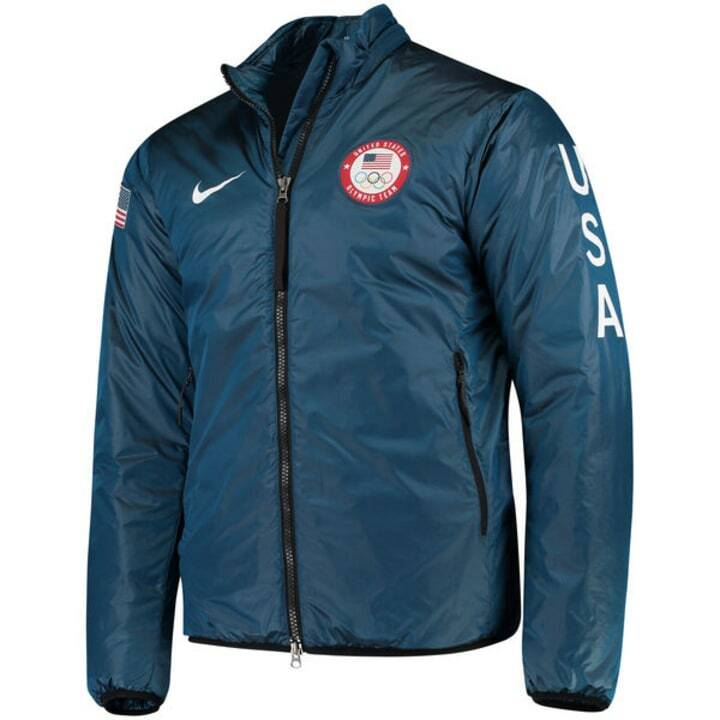 This Nike jacket guarantees warmth in chilly temperatures with its nylon shell and polyester filling. Attention all skiing aficionados! L.L. 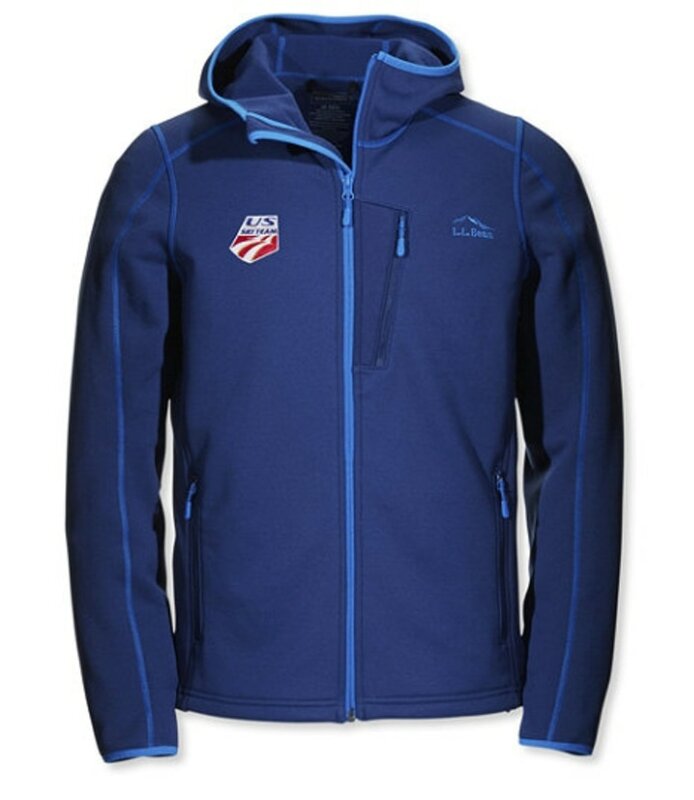 Bean is selling the same fleece jackets the national ski team trains in. This jacket will protect you from tough winds and any splashes of water while keeping you warm and snug on the inside. 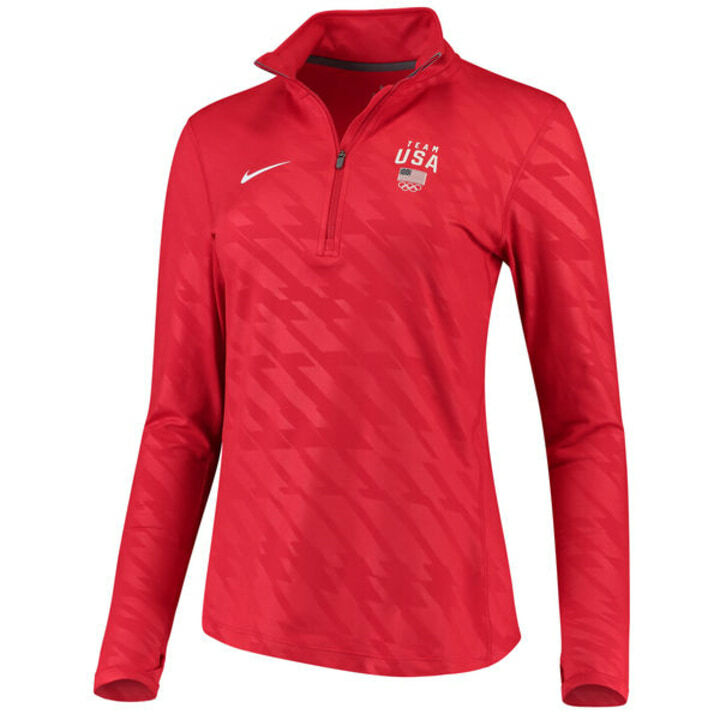 No one will be able to challenge your devotion to the U.S. team with this cherry red jacket. Made of Dri-FIT, a synthetic fabric, this Nike jacket is lightweight and will pair nicely with workout or casual gear. This polyester sweatshirt is made for people’s comfort. As if fashioned with the same material that cartoon clouds appear to be made of, this full-zip sweatshirt hugs you perfectly. And there is an added bonus: Its tagless collar spares your neck from a long day's worth of irritation. 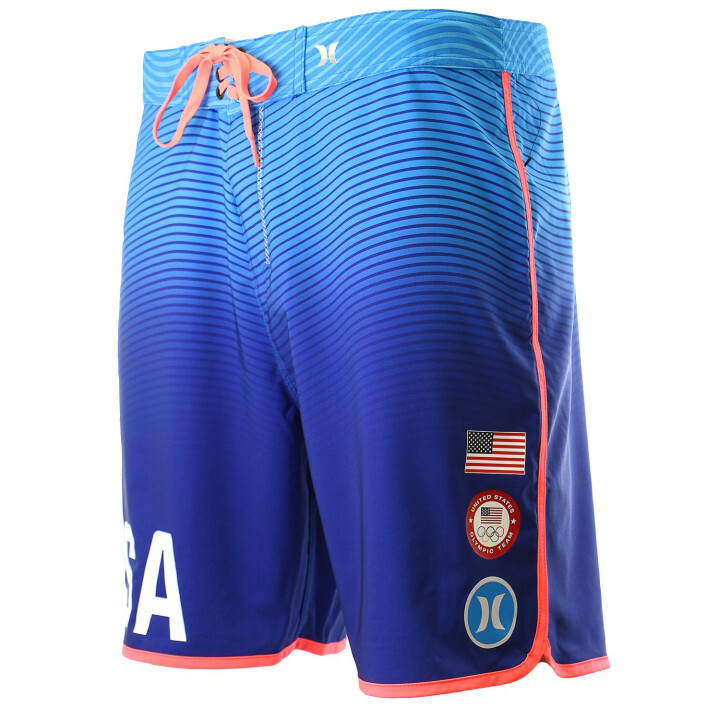 Whether you are in need of a workout or you just want to rest up at home, these Hurley shorts have got you covered. The lightweight, stretchy fabric ensures comfort, and the different waves of blue captivate the eyes. 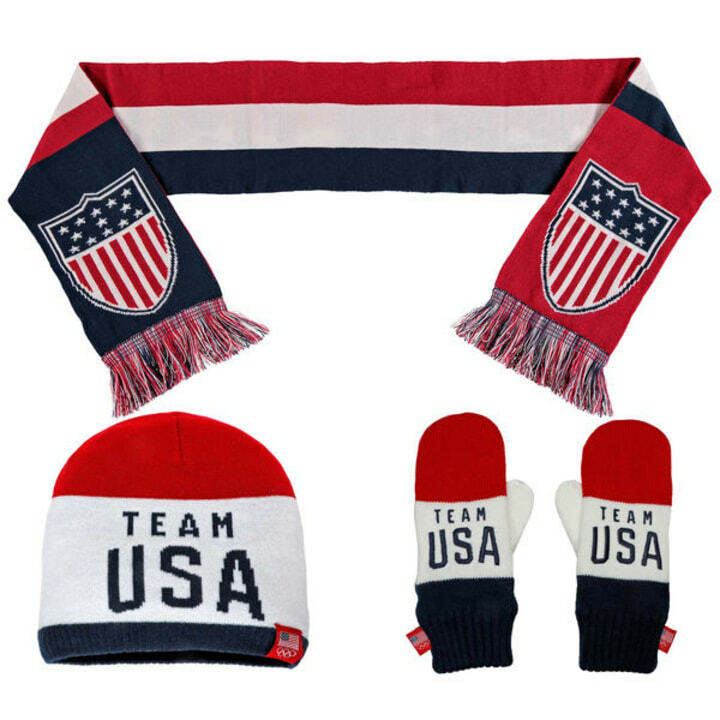 The real Team America fans don't need to look much further than this scarf, mittens and beanie kit. Separately, each item works as a stylish accessory. But when you wear the pieces together, any room you enter will sense the patriotism radiating from your red, white and blue apparel. Either way, you can cheer on Team USA wherever you go. 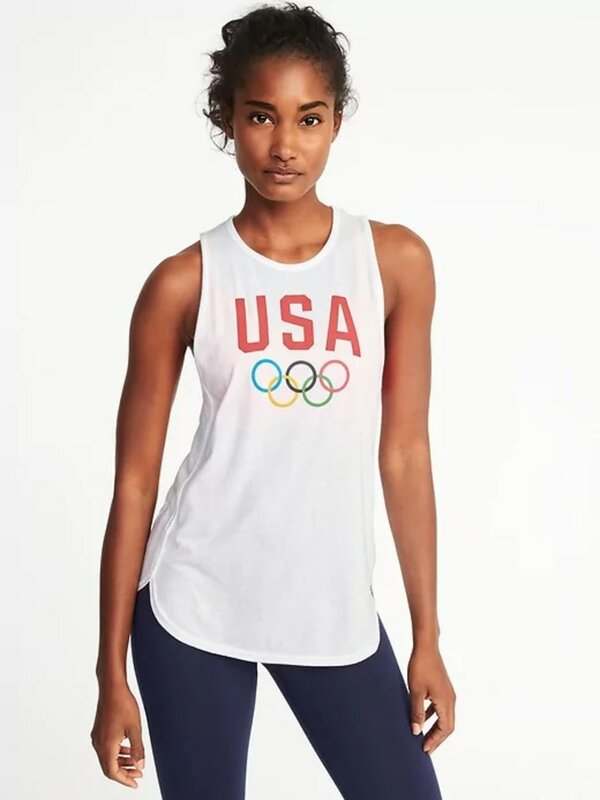 If you're looking for more ideas from the Olympics, check out what Olympians wore to South Korea and what some had to say earlier this week.